Explore countless designs for table lamps and lighting when you shop Bassett online. Table lamps are not just for reading light. When displayed with care and forethought, table lamps can make a significant contribution to a room’s ambiance. A delicate light source has the power to create a mood all by itself, a table lamp can be the perfect accent to any room in your home. With so many table lamps available here at Bassett, you can make a bold statement or add an element of whimsy to your bedroom or living room. A pair of tall table lamps can add elegance to an office desk or sideboard. The possibilities are endless when you shop the extensive collection of table lamps at bassettfurniture.com. Different room types work well with different types of table lamps. In common areas such as living rooms or entertainment rooms, make sure table lamps are designed to provide adequate light but not obstruct the view of guests or focal points in the room. These rooms are often used for having guests where conversation is the norm. In bedrooms, a small table lamp can be ideal. It can provide adequate reading light while not taking up too much room on your nightstand where other items must be placed before bed. A less austere look can be ideal for your office where function supersedes design. The most important thing to remember is that all of these table lamps are available in one convenient location. 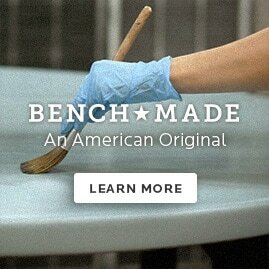 Right here at bassettfurniture.com.